Malaga has much to offer throughout its territory, great weather, great beaches, places of interest to visit, plenty of outdoor activities to do, excursions, etc... If you are planning coming through the airport, car hire in Malaga or at the airport is a recommended choice. You will want to maximise your holidays by visiting as far as possible all the spots in the province. One of the concerns when planning your holidays on the Costa del Sol is transport. 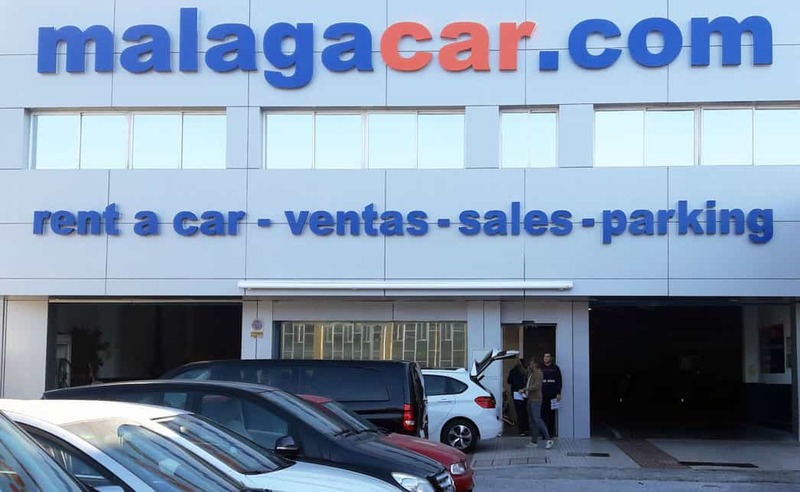 You can move around with taxis and public buses or you can choose to look for car hire in Malaga. 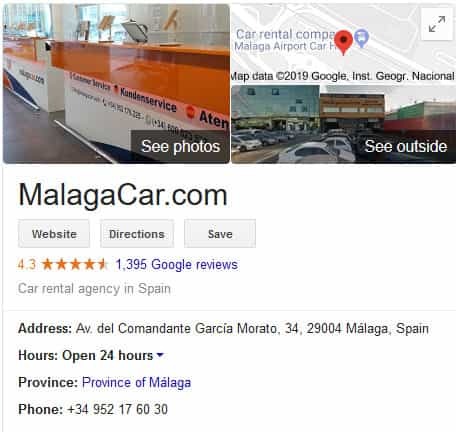 The reviews have been very positive since many years and it is a stablished company for Malaga car hire with more than 20 years of experience. On its favorable side we can say that it gives more freedom and control. Contrary to using public transport you don't have to follow a strict timetable and it has the convenience that you can travel at your own pace. You can make the stops you want in the most appealing places, no doubt you will enjoy it much more than traveling on a bus. One thing in favor of renting a car is that if you have a problem or something breaks down the rental company quickly makes the switch to a good one. You don't have to worry about repairs or lack of service for long periods because the company you choose will take care of all this. When hiring a car in Malaga you have the great advantage of choosing the one that best suits your needs, depending on how many people travel with you, how flamboyant you want the car to be or what areas you intend to travel. For example if you go through the interior of the province, covering main roads and various rural roads to the villages, it would be more convenient for you to choose a SUV instead of a small and cheap car hire in Malaga. At Malaga airport there are many companies that offer rental services according to your needs. It is advisable to always read the conditions that each of these companies establishes, taking into account the time and place of return, damages for improper use, fuel, fines for infringement, etc.. or if you do not like reading, just call and ask what is necessary, the companies we recommend are of high quality and are always ready to help you to decide. How does the car rental at Malaga airport work? Car rental companies nearby the airport offer their clients a pick-up service directly in the arrivals hall. In a few minutes, the client arrives at the offices, where all the necessary formalities are completed quickly and easily. Staff and drivers are usually at least bilingual and fluent in English. You will receive personal attention in your own language and without having to wait and you will be sitting in your car in no time. The car hire companies we recommend take full responsibility for their cars and renew their fleet every year, taking care of all the problems that arise in connection with your rental car at Malaga airport, to make your stay as pleasant as possible, something that is reflected in customer satisfaction and endless positive feedback. The arrival at the airport will be with most flights through terminal T3 from where we can choose between several alternatives depending on your destination; there is a difference between going to Marbella or Torremolinos to give a simple example, because in the second case the train is a possible ally in transport. However, car hire at Malaga airport is a simple and inexpensive process; it is worth checking the prices before deciding. Those looking to relax and rest in their holiday area without moving too much from their hotel, can take a Malaga airport transfer to any area of the Costa del Sol and arrange the return trip to the airport for the departure. For those who come to Malaga looking to make the most of their holidays, renting a car at the airport is undoubtedly the most recommendable option, from Malagaweb we recommend you to use some of the websites we suggest, we rely on a contrasted quality and the degree of satisfaction is very high. The big brands such as AVIS, Hertz, Europcar ... are present inside the terminal, although they do not always have the best prices and quality can vary from one airport to another. For these brands as a general rule if you have to pay in advance so you will need to use your credit card online. We can not be aware of the latest changes made by each company, so if you see something we should change, do not hesitate to let us know.